An understated crown moulding, solid wood tongue and groove back, and beveled glass create our handmade of our South Hooksett Large China Cabinet. 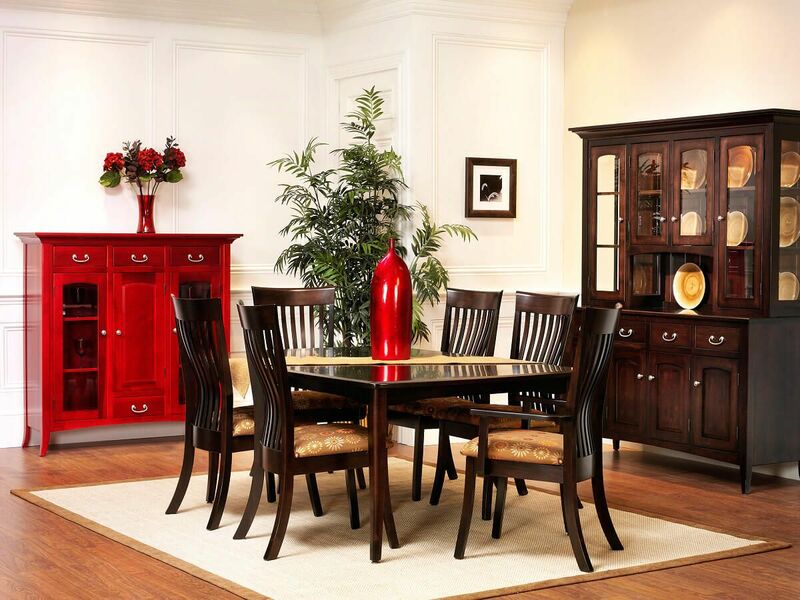 One of the grandest pieces in our South Hooksett Dining Collection, this closed deck 4-door hutch combines classic display with handy storage. Our South Hooksett Large China Cabinet features solid wood dovetailed drawers, flush inset doors, an attractive glass side display, and hand-fitted trim. Your hutch will be crafted from responsibly harvested real wood using time-tested mortise and tenon joinery. Available in a variety of woods and finishes, this Shaker hutch will provide you with many years of faithful service. 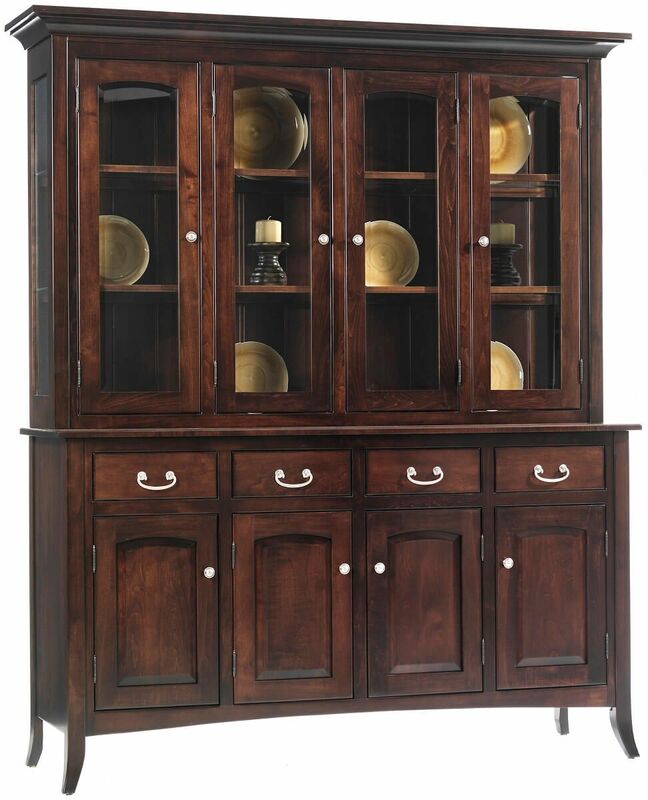 If you prefer the South Hooksett Large China Cabinet as pictured, select smooth Brown Maple as your hardwood and Venezuelan Chocolate as your wood finish.